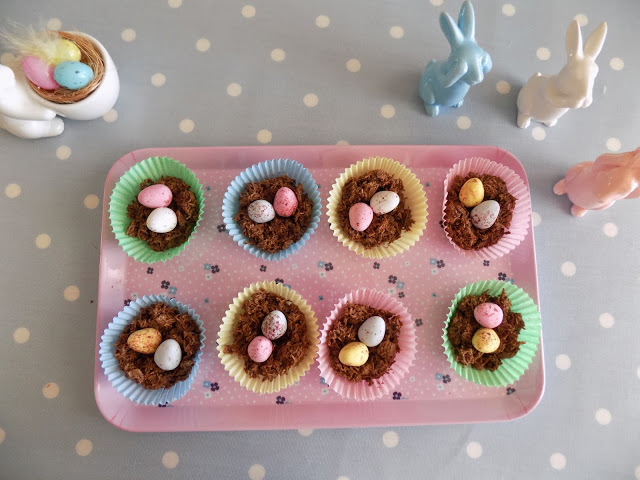 Easter is one of my favourite times of year because it signifies that summer is on its way (and all the spring bank holidays), and also just because I love the pretty things! 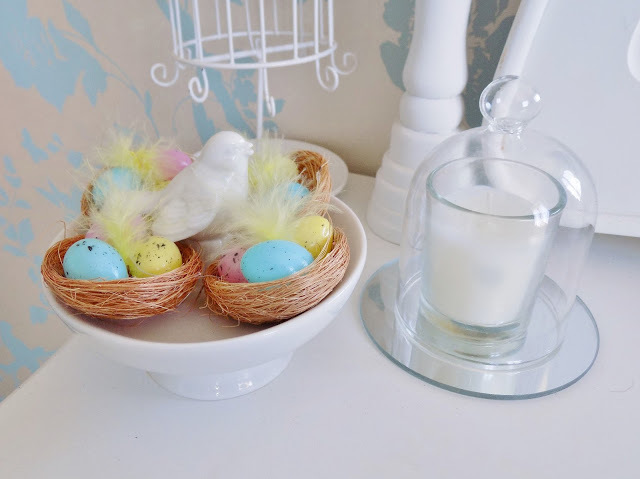 Easter and spring is the season for pretty pastel colours and polka dots, and over the years I’ve picked up a few pretty home decorations specifically for this time of year. 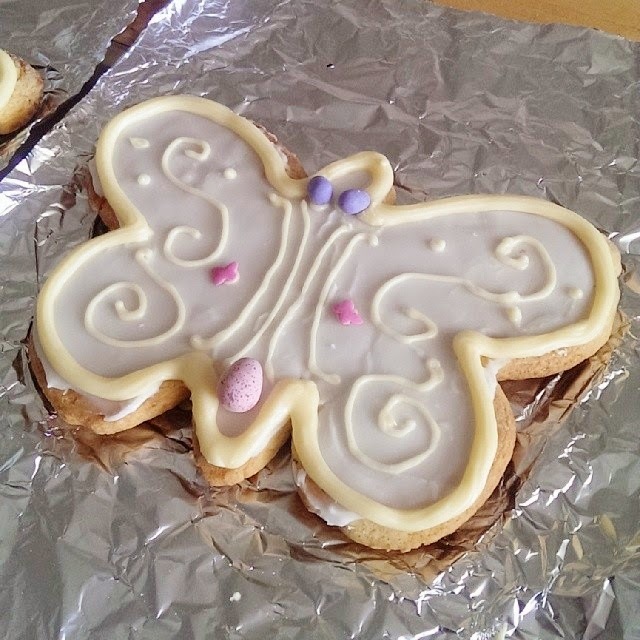 I also love Easter baking, and me and my Mum make the traditional Maltese Easter biscuit called figolli (large iced almond biscuits) every year! 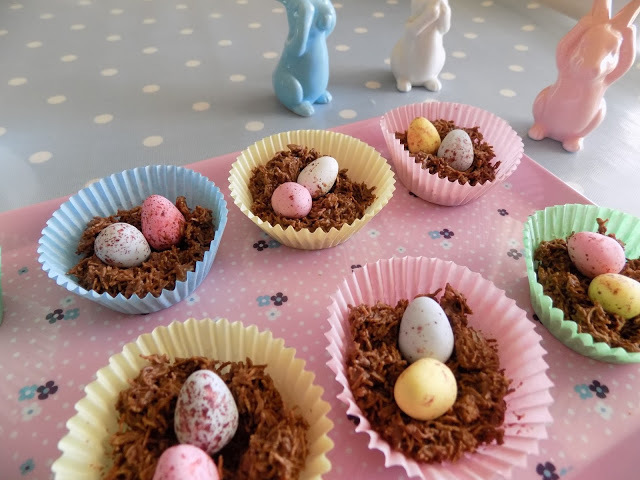 Making these yummy little chocolate Easter nests is easy. I simply melted a 100g bar of value milk chocolate and crushed up two shredded wheat pillows and mixed together. 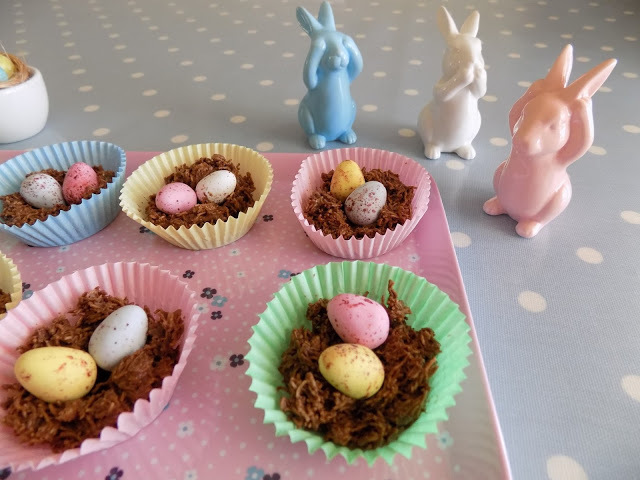 Stick the chocolatey mixture into a pretty paper case and top with some mini eggs and voilà! No baking required, and so delicious! I love using my vintage teacups for all sorts of different uses, but they’re perfect for using as little plant pots. I have used them to keep my mini daffodils in previously, although now they’re home to my two cacti! Such a cute way to display spring flowers. 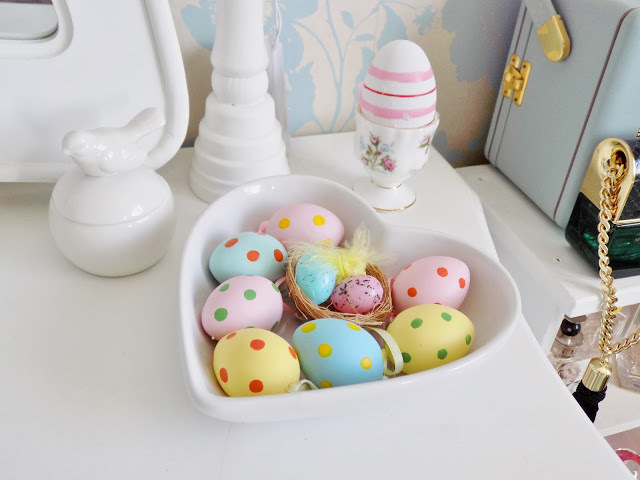 I bought these mini polka dot eggs last year from Tiger to hang on my Easter tree, but this year I used them to fill up my heart shaped bowl, and stuck a little Easter nest decoration in the middle. I bought a pack of the nests from Poundland and they’re so sweet! This year I have managed to acquire quite a few new ceramic bunnies to add to my collection. They’re just so adorable! The bell jar I bought from Asda a year or two ago, the big bunny is actually a cotton wool holder I found in Tiger years ago, as is the bunny cupcake. 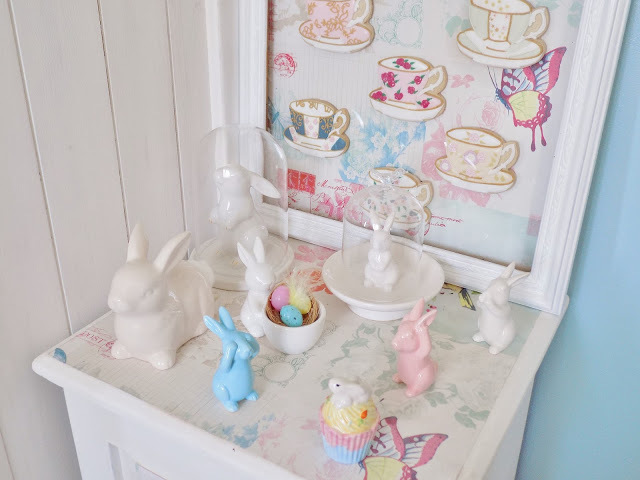 I’m not sure where the bunny egg cup or little jewellery dish came from, but the three little pastel coloured bunnies are new from Sass & Belle. 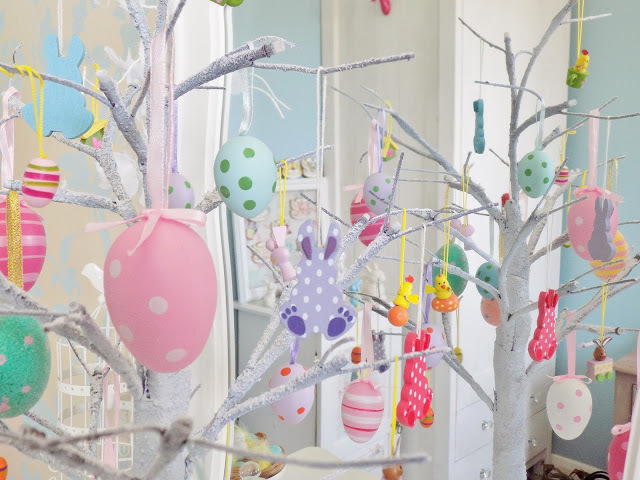 This is my ‘Easter tree’ which is actually my mini Christmas tree which I spray painted white. I bought it last year from B&M for about £8, and the ends of the stems have little fairy lights on and it lights up! The decorations are from a mix of Tiger, Home Bargains and Poundland. It makes such a nice feature in a room (and the cat loves plating with the hanging eggs!). Cadburys mini eggs are my weakness, and I love the pastel colours and speckled pattern! Yum yum! 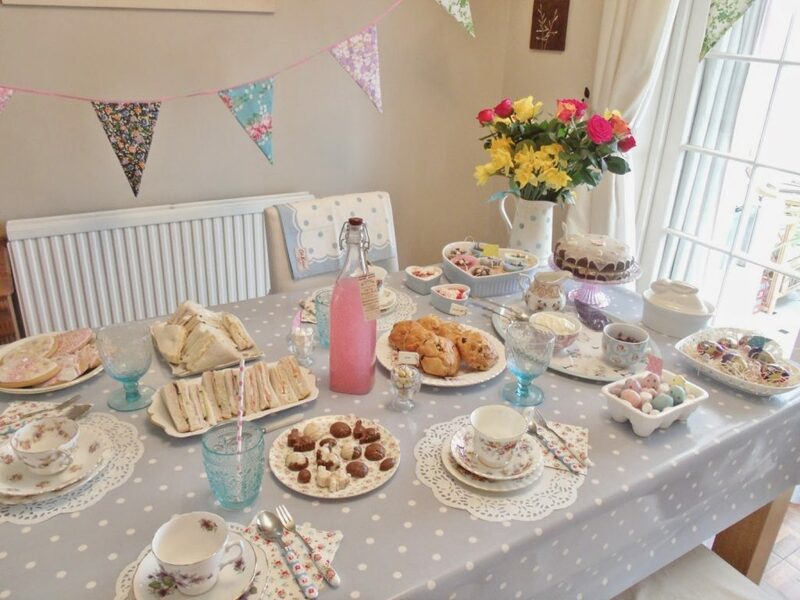 Want to read about my Vintage Easter Tea Party? Click here. Mini eggs are my weakness too – my partner and I have just eaten loads :/ I never normally bother about Easter but with our new little girl here I am right now sewing her Easter bunny present! Easter heaven in your house… My parents aren't big on Easter, we get a few Easter eggs and that's about it. I think when I move out I will do more about Easter and do Easter baking and home decor. 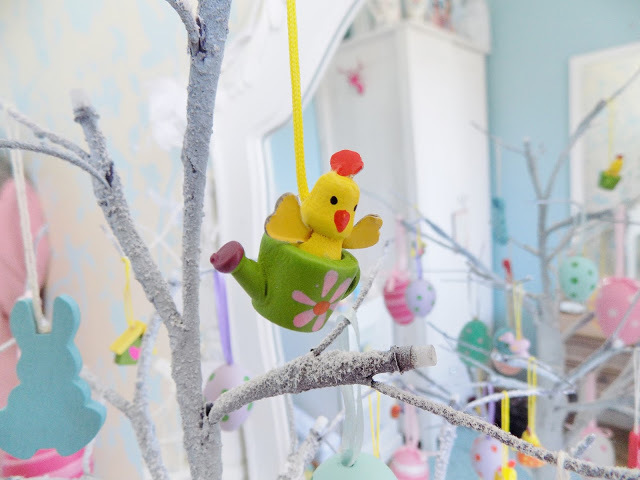 Lovely post and loved seeing your Easter accessories for your home.